In previous article, we discussed about the next generation networks NFV technology in brief and talk about how it is so much important to be with the running demands of the technology. NFV named as Network function virtualization is going to widely used at the enterprise network domain. Similarly NFV we have another architecture building block called SDN ( Software defined network ) in the market now a days and very much favourite in the market. Some of you are already working on SDN technology and some of still are not aware of this advanced next generation technology. well we will cover the basis of the SDN networks here in this article. 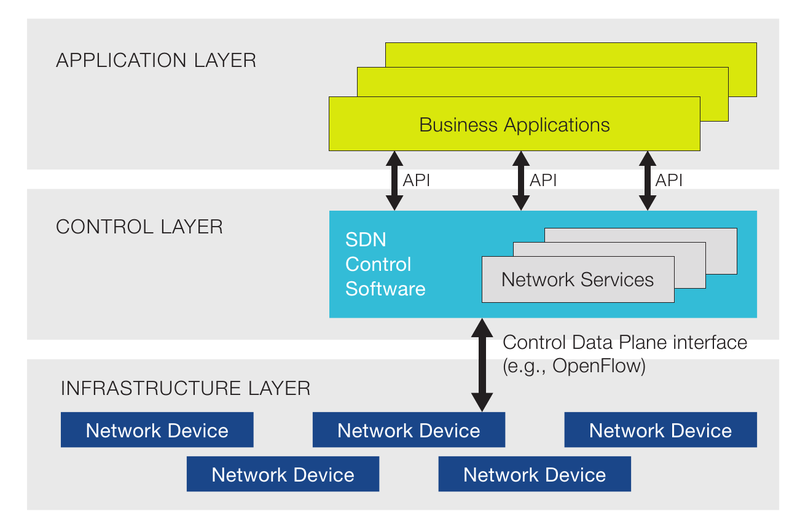 May be your first question is What is SDN ? Well SDN ( Software defined networks ) where you are going to divide the control plane and the data plane from one box to two boxes. where your devices like router, switches are only doing the data plane traffic and device like SDN controller controls the control plane of the whole network. In other works you can say there is a device called SDN control from where the control and Management plane will be processed and the data plane will be control the devices like router, switches and data traffic flow from them. So you are managing all the stuff from the SDN controller in short. What is the use of the SDN ? Well with the help of the SDN you can agile, automate and decrease the overall cost of the network and also you are reducing the CPU utilisation of the devices by removing the control and data plane in the same box. It can give you the centralised control in the network as well and also ease the process of your network controllability. I guess you understand the way whole architecture of the SDN defined for the next generation networks but there are still many questions in the mind like how SDN controller interact with the end devices for the control plane and data plane traffic flow in the network. How your SDN controller interact with the end devices in the network ? Well some of you already heard about the APIs called as South bound APIs. The End devices are open flow enabled switches and the interaction between the SDN controller and the end devices ( Router, Switch and so on ) will be via open flow protocol. Hope you understand the same now. Now a days there are many devices who are already come up with the feature called Open Flow. Hopefully with the basic questions and the defining the architecture of the SDN network you are now understand the basics of the SDN next generation networks in short. I knew there are lot of questions in your mind like how Control Layer interact with the Application layer ( with the help of the North Bound APIs ) and how the whole network works. What are the various APIs used and is there any standards of the APIs from the different vendors in the market. SDN allows the community to respond to requests from an software in actual time, based totally upon the contemporary state and circumstance at the network. it's far this agility with the intention to transform networks as we recognize them. Please let us know your more queries on it so that we can address and in the upcoming next article we will come up with the full explanation of the architecture of the SDN network.